Each of these types of insurance coverage have different characteristics and requirements. In other words, not all insurance policies are the same. 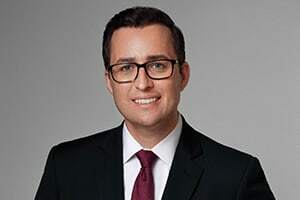 As an experienced New Jersey and New York bad faith insurance lawyer, Eric Dinnocenzo will review your insurance policy and help you understand your legal rights. For certain types of insurance, insurance companies have standard areas of inquiry they make in order to verify the veracity of a claim. For instance, in fire insurance claims, insurers routinely conduct an investigation to see if the insured committed arson. In life insurance cases, insurers will scour the insured's medical history to see if there was a material misrepresentation in the application. Due to our experience and knowledge in the field of New Jersey and New York bad faith insurance denials, we are able to provide policyholders with enhanced insight into the claims denial process and take steps to both preserve and prosecute their rights. We are able to assist policyholders each step of the way in solving a problem, whether it is assistance completing an application or claim form, or instituting litigation against the insurance company. If you reside in New Jersey or New York and have experienced a bad faith insurance denial, or if your insurance company is located in New Jersey or New York, we may be able to provide you with legal assistance. Please contact New Jersey and New York insurance lawyer Eric Dinnocenzo at (212) 933-1675 for a free consultation.